As propane prices soar, 25 states have declared an energy emergency, but it came too late for Debbie Dogskin. And it’s not just the extreme cold that puts thousands of poor people at risk. 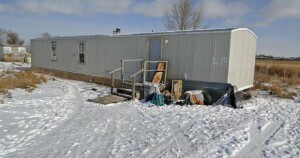 The Fort Yates, North Dakota, mobile home where Debbie Dogskin was found dead of exposure to extreme cold. The temperature inside was 1 degree below zero Fahreneheit and the propane tank was empty. Debbie Dogskin, an Indigenous woman in her fifties, froze to death in a mobile home after the propane tank ran dry. This tragedy has shed a light on the growing propane shortages and price gouging that are impacting impoverished rural communities across the U.S.
Dogskin fell asleep and died on Feb. 4 when temperatures inside the house where she was staying dropped to 1 degree below zero. She lived on the Standing Rock Indian Reservation, which straddles North and South Dakota. After prices skyrocketed this winter, a state of emergency had recently been declared by tribal leaders because fixed-income residents of about 5,000 homes heated by propane could no longer afford the fuel. By the end of January, the average U.S. residential price for propane was $3.90 per gallon — more than double that of a year ago and the highest since the U.S. Energy Information Administration started tracking prices in 1990. In some areas, prices have skyrocketed from $1.50 to $5. On the Standing Rock Indian Reservation, which depends on propane being trucked in, prices peaked at $4.65 a gallon. Federal budget cuts have also reduced funding for fuel assistance by 40 percent over the past few years. A program to help low-income families on the reservation had shrunk by $1 million since last winter. The Washington-based Propane Education and Research Council estimates that over 14 million families in the U.S. use propane to power furnaces, water heaters, air conditioners, grills, fireplaces and appliances. Propane is also used by 865,000 farms to fuel heaters that dry crops and warm animal enclosures, and run irrigation pumps and other farm equipment. Propane is made from processing crude oil and natural gas. The shale gas boom has brought a glut of domestic propane to the Northeast, Southwest and most recently to the Bakken shale region of North Dakota and Montana. Ironically, this is not far from where Dogskin died. Over the last decade, fracking for natural gas was promoted on the basis that it would produce sufficient energy supplies to lessen reliance on imported fuels. Widespread promotion of fracking resulted in overproduction of natural gas, driving prices down while greatly reducing imports from foreign sources that could not compete. However, the inherent capitalist drive for profits also prompted energy companies to ship more U.S.-produced fuel overseas, where they can get a higher price, thus cutting into readily available domestic supplies. Exports of U.S.-produced propane soared to 9.1 million barrels in August 2013 — nearly double the amount shipped abroad the year before. Another significant contributing factor to the propane shortages in the Midwest has been that the transport infrastructure is overrun with oil shipments. Increased production of crude oil from fracking in Canada, Texas and North Dakota has resulted in a 400 percent increase in crude-by-rail shipments since 2005. The North Dakota Mineral Resources Department estimates that in 2014 around 90 percent of the state’s crude oil production — almost 1 million barrels per day — will move by freight rail. Crude-by-rail shipments are also a contributing factor to propane shortages in the Northeast. In July 2013, a fiery rail disaster resulted from the derailment of a train carrying crude oil in Lac-Megantic, Quebec. The derailment led to a ban on the movement of hazardous materials through the town, essentially cutting off a major route that transported propane to Maine, where 70 to 90 percent of the propane used had arrived by rail via Quebec. Another factor cited for the propane shortages is repairs to the Cochin propane pipeline that services the Upper Midwest. However, Kinder Morgan Inc., which operates the Cochin, says that shipments of propane to terminals in North Dakota, Minnesota and Iowa more than tripled in November 2013. In response to the propane shortages, officials in 25 states have declared energy emergencies related to propane shipments. In Michigan and five other states, governors signed executive orders exempting truck drivers from state and federal limits on how many hours and consecutive days they can drive commercial motor vehicles. This is sure to increase the risk of accidents and injuries on the road but will do little to stop the export of domestic propane or decrease overproduction of crude oil and gas that is clogging up rail transport. The executive orders also fail to stem the all-too-obvious price gouging by dealers taking advantage of a colder than usual winter to get as much profit as possible during the shortage. 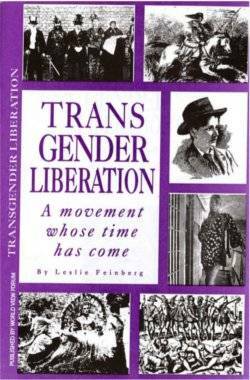 It doesn’t have to be this way. Since 2005, Venezuela has donated more than 235 million gallons of heating oil to more than 1.8 million people in the U.S. On Feb. 5, the CITGO-Venezuela Heating Oil Program announced the launch of its ninth annual shipment of oil to assist families, homeless shelters and Native tribes in 25 states. Were it not for U.S. corporations’ drive for profits, Debbie Dogskin could be alive today.